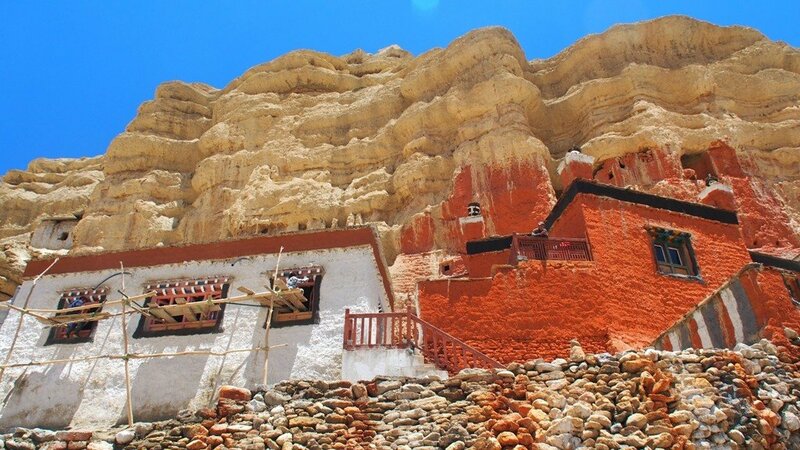 Upper Mustang Trek, our fascination for the unknown and the ability to explore the undiscovered have given us access to almost every corner of the world. 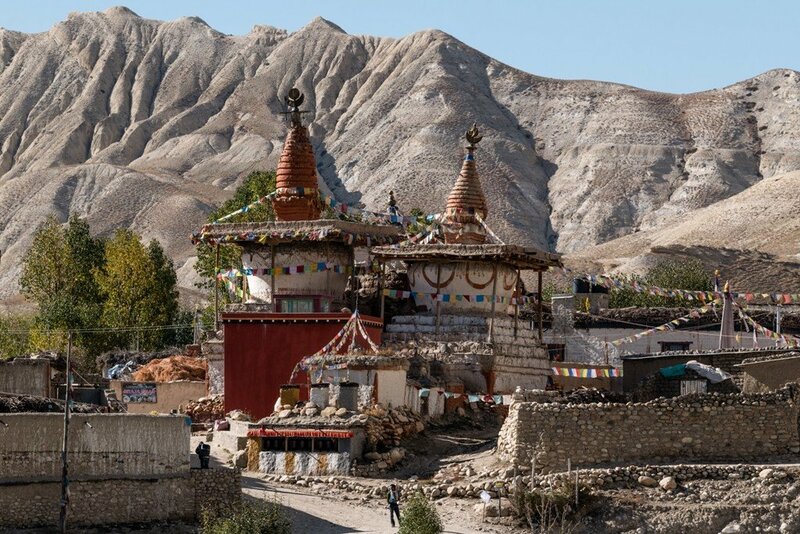 One of the few regions which could escape foreigners was Mustang, a Buddhist kingdom in the Himalayas. 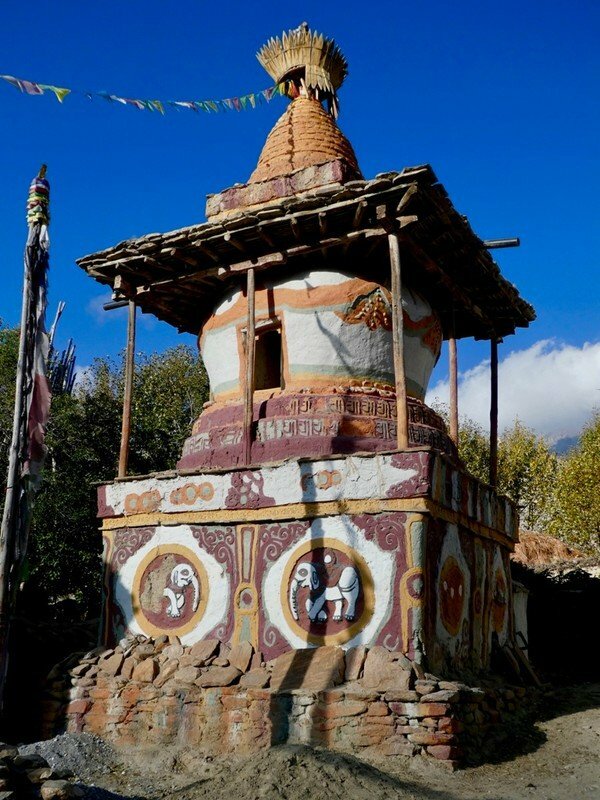 Only a handful of Westerners had visited the area in western Nepal before it was opened to tourism in 1992. They brought back reports of a culturally highly developed, thriving medieval society and a landscape almost beyond description. 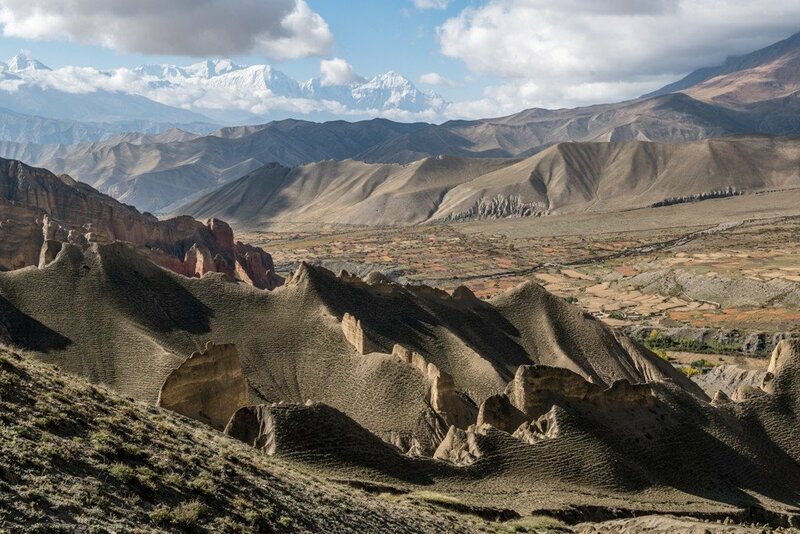 It lies north of the two 8'000 meter peaks Annapurna I and Dhaulagiri I. 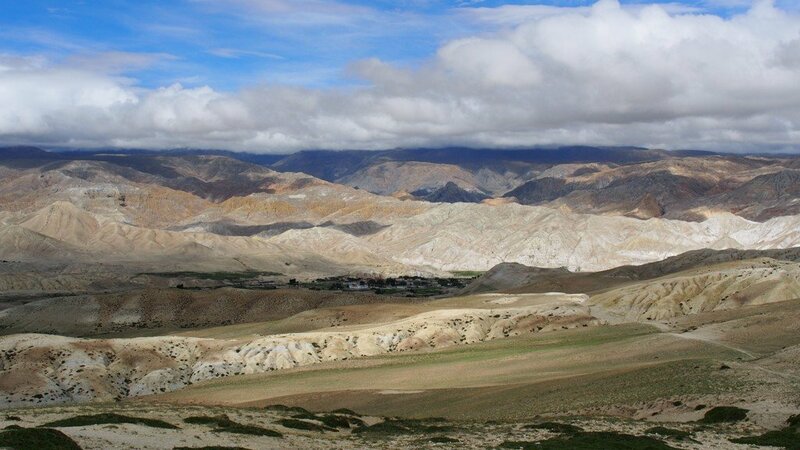 The arid place with snow-capped mountains and barren hills reaches deep inside the vast Tibetan plateau. Cold winds sweep through narrow canyons and over plains. 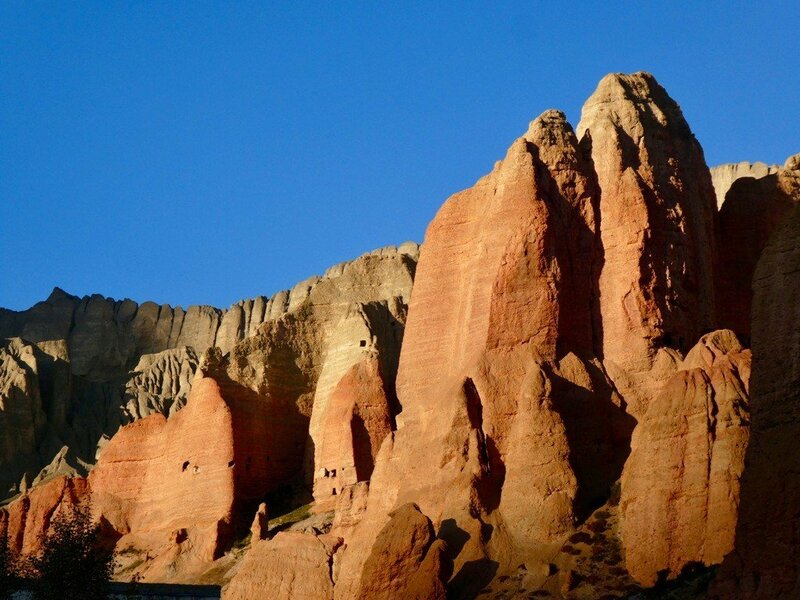 Erosion has left its marks in bizarre rock formations. Yet humans have lived in this hostile environment for centuries. 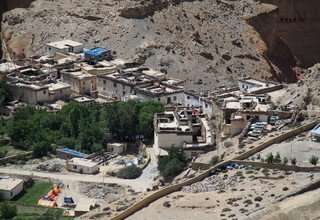 They have built their settlements along rivers and creeks, the villages of whitewashed houses appear like oases in a huge desert. People work as farmers on their fields, sowing and harvesting barley and potatoes, and driving cattle to relatively fertile meadows. 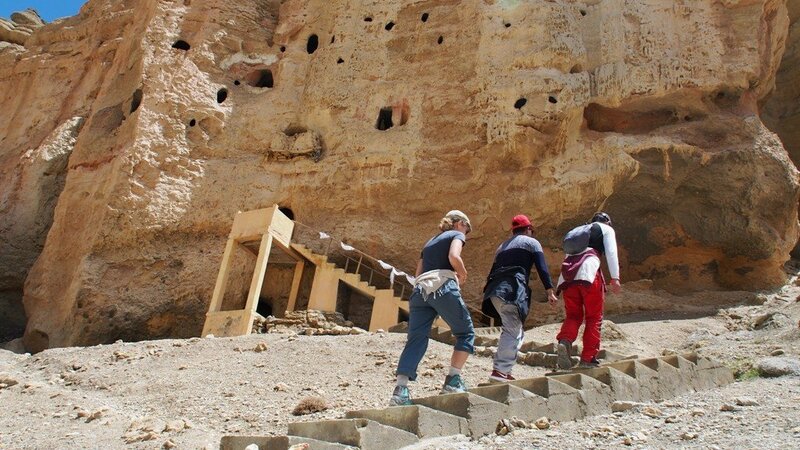 High up in vertical cliffs are inaccessible caves where people dwelled two thousand years ago. Much later the region came under the influence of the Tibetan Yarlung dynasty. 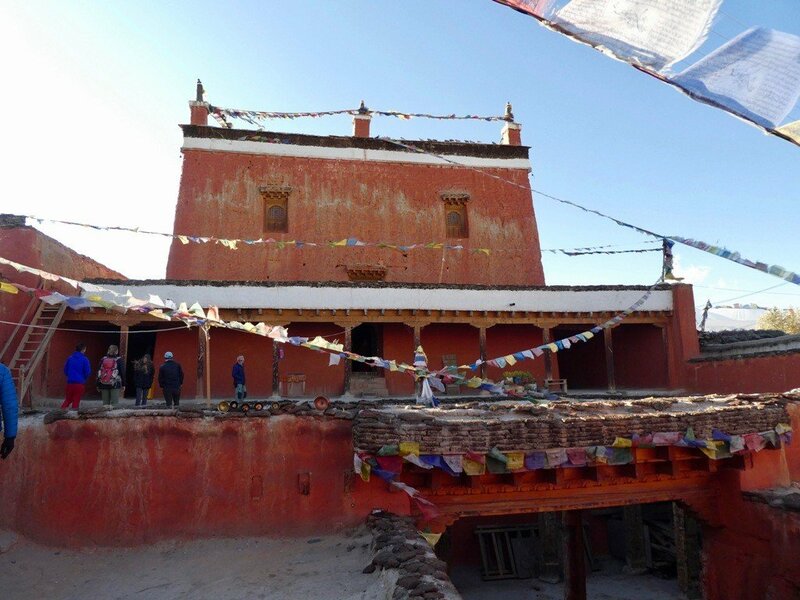 In the 15th century the independent kingdom of Lo was founded by Ame Pal, whose invitation of the famous Buddhist scholar Ngorchen Künga Zangpo led to a cultural zenith never to be reached again in the following centuries. 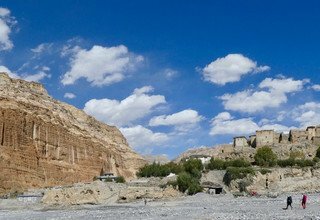 It was probably thanks to its remoteness that even in later times of conquest Mustang was granted large autonomy. The destruction of their culture and religion could be averted but the Hindu culture and tourism are definitely a threat these days. Only in 1950 was it officially declared part of Nepal. 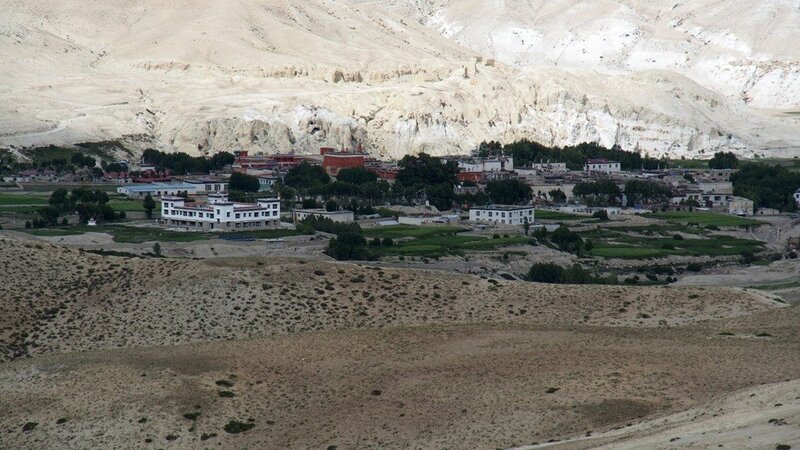 The years following the Chinese invasion of Tibet proved to be the most difficult ones in Mustang’s history. 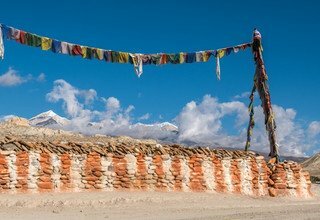 Large numbers of Tibetan freedom fighters set up their camps and attacked the nearby Chinese troops, putting Nepal in a delicate situation. 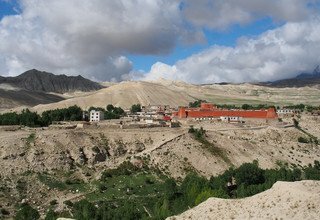 In the 1970 the Dalai Lama asked the guerillas to stop their fighting, the Nepalese government arrested and sentenced some of the leaders. 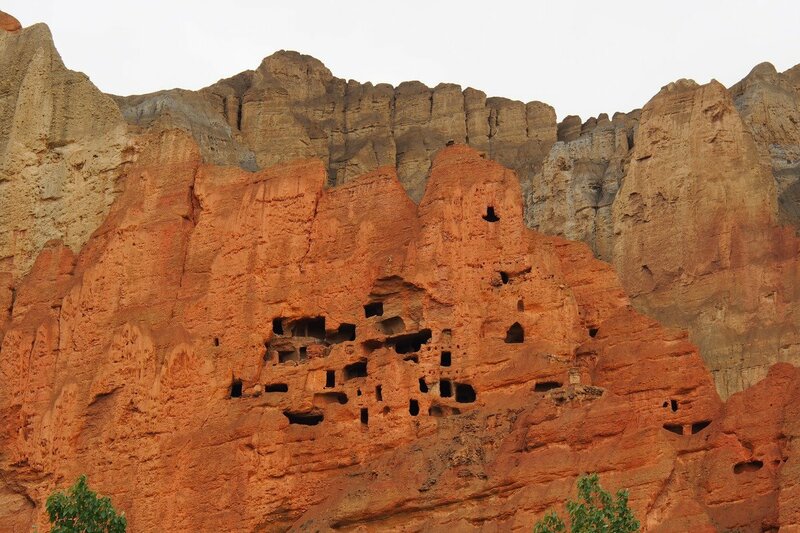 It takes some effort to discover the scenic and cultural beauties and mysteries of such an area. 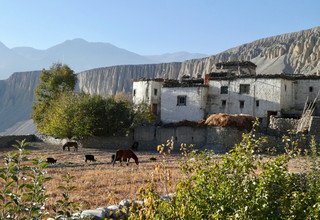 Mustang Trek is to follow the Kali Gandaki from Jomsom northwards for several days, then taking the west route to the capital Lo-Manthang and from there back to Jomsom. 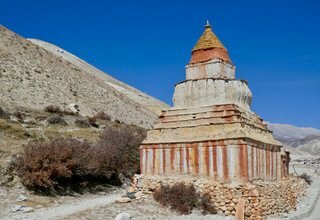 Mustang Trekking Nepal consists of two distinct regions: the southern part and the northern where the languages, culture and traditions are alike to those of the Tibetan people. 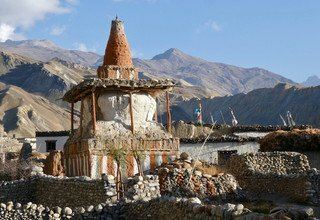 This area is consider as one of the most interesting and picturesque places in Nepal. 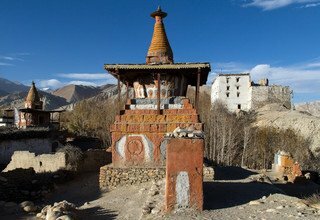 The whole area has an isolated and mystical feel to it, enchanting and inspiring visitors to this region. 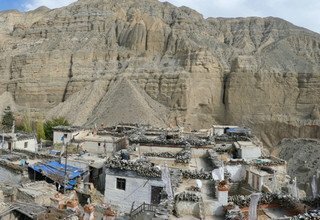 Upper Mustang Trek in Nepal is through high altitude desert country climbing in and out of the huge sided valley of the Kali Gandaki. 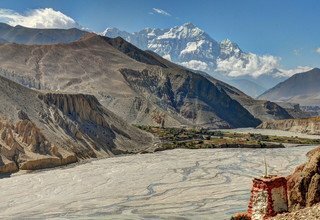 In places the gorge which the Kali Gandaki River runs through is the deepest in the world. 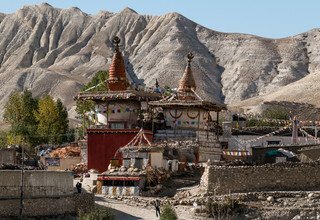 This region is full of some of Nepal’s oldest Buddhist Monasteries, ancient and isolated villages with quaint white washed houses. Drive from Kathmandu to Pokhara at 7 O’clock in the morning by AC tourist bus passing the River side of Trisuli and takes about 7 hours to reach Pokhara. 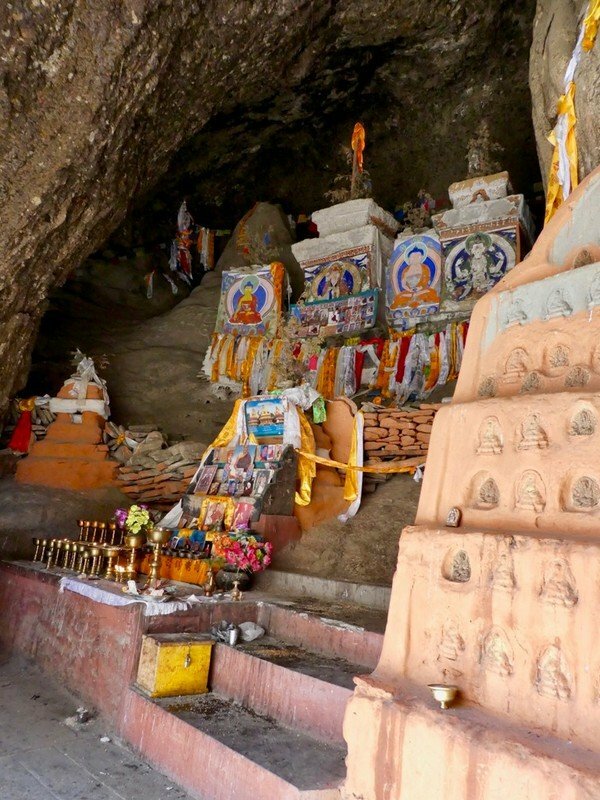 We can visit such as interesting places like Devi’s Fall, Gupteswor Cave, Temple Barahi and boating on Phewa Lake in Pokhara and transfer to Hotel. 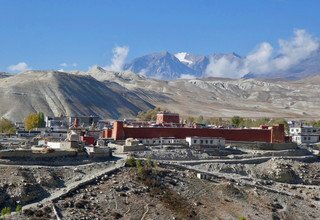 Early in the morning we fly from Pokhara to Jomsom with viewing a scenic and majestic Himalayan Ranges just above the deepest Kaligandaki gorge and after arrival in Jomsom, we meet with our support staffs and will have a breakfast. After breakfast, we prepare our trail goes along the Kaligandaki River passing the Jomsom’s main village. 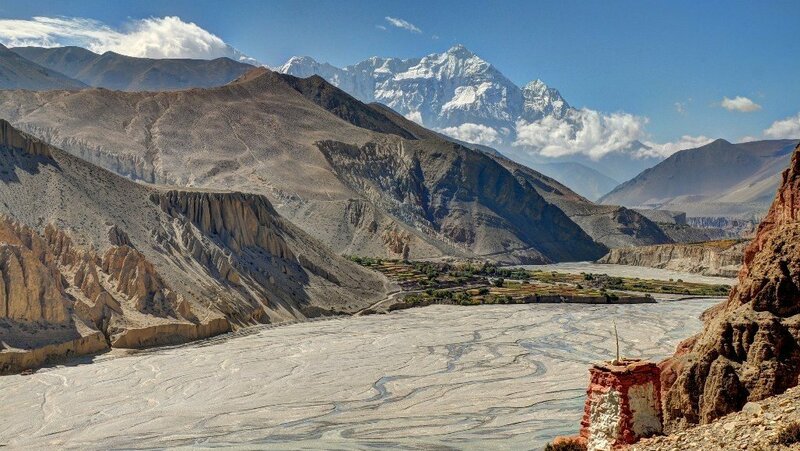 Then, we walk on the wide bank of the Kaligandaki and move on in the wind. We have a short glimpse of Mt. Dhaulagiri and Nilgiri Himal. On this bank ammonite fossils are often found. From the trail on the bank, we make a small ascent and go down again, and then we reach Eklebatti. We will have our lunch there. 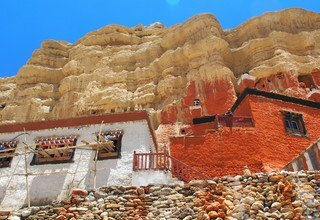 After lunch, we continue slightly ascends and level trail until reaching Kagbeni Village, which is doorway to upper Mustang. 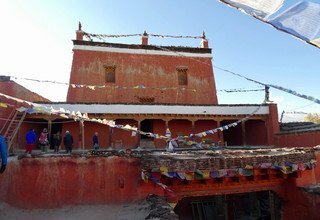 We will visit the peculiar colors and shapes of the Chhorten and Kani in the village and ancient Sakya-Pa Sect Buddhist Monastery. 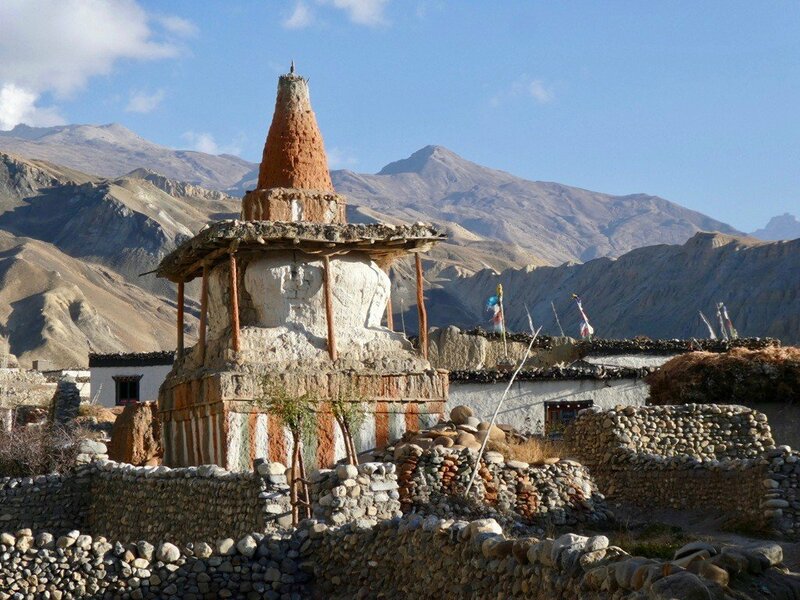 From the top of monastery, we have a great view of Nilgiri Himal, Tilicho Peak and other snow-capped mountains as well as scenic terraced field. Overnight at Lodge. 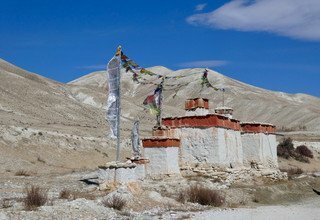 In the morning after breakfast, we check in our restricted area permit and we are taking first step into Upper Mustang. 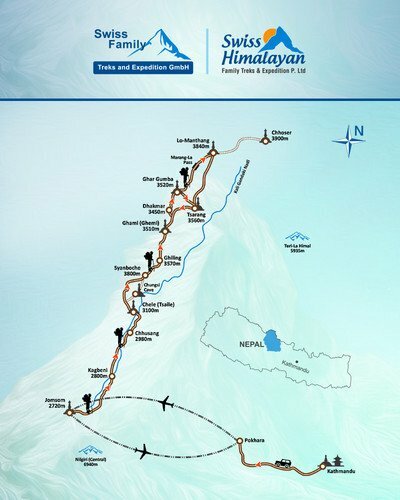 The route will continue on the left bank of Kaligandaki with small ups and downs along the Kaligandaki River. 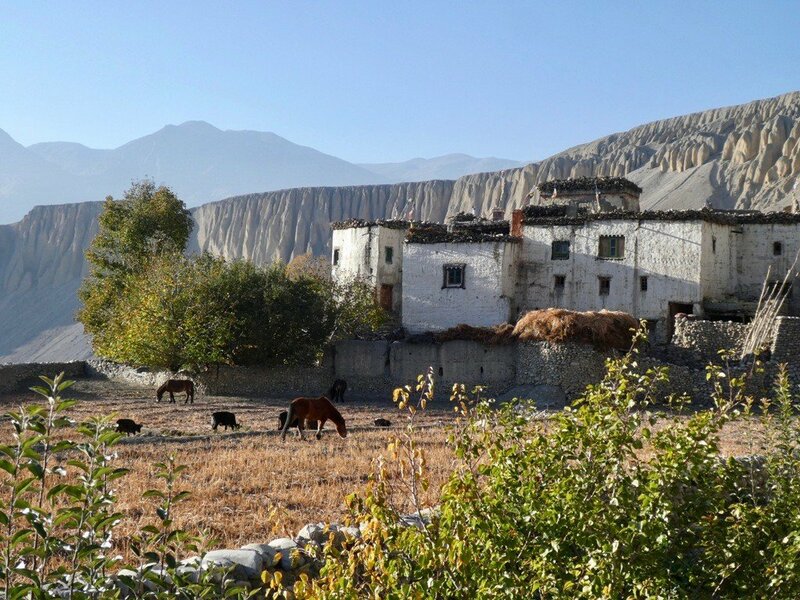 After a long walk, we cross small stream and climb up on the terraced hill; we will come to Tangbe, the first Mustang village where the village has a medieval atmosphere. We will have our lunch here, and then we continue the trail traversing upward and will reach Chhusang village. 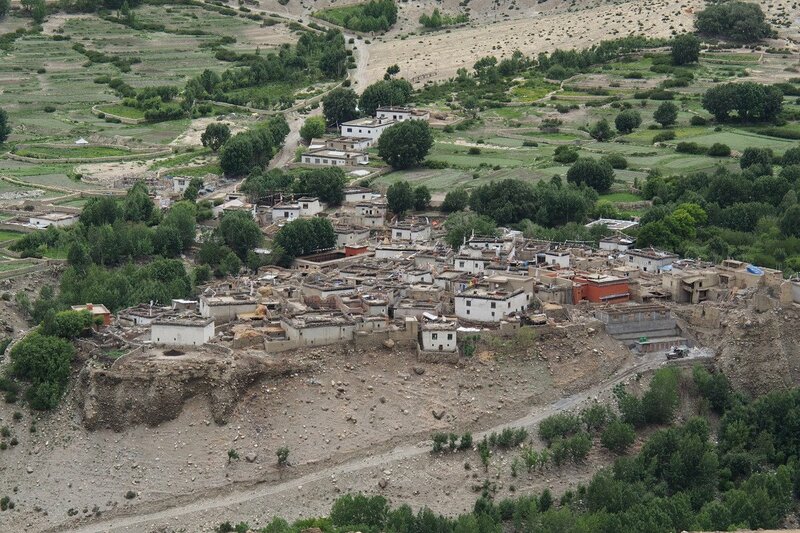 From Chhusang, we will go back again to the river shore and move in the upstream direction of the Kaligandaki. 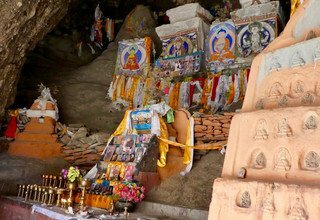 When there is an iron bridge where Kaligandaki River runs through a tunnel built in the huge rock that blocks the river shores and just above the bridge, there is 16 small caves. 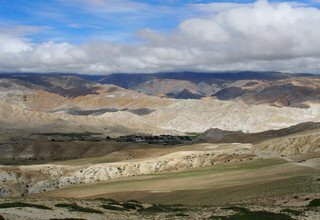 After cross the bridge, we make a steep ascent onto the terrace ahead and we will reach Tsaile from where we can see the zigzagging Kaligandaki and Nilgiri Himal further in the interior. Overnight at Lodge. 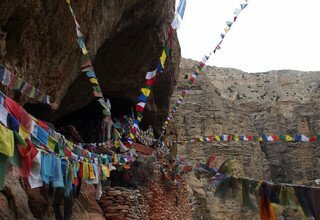 Day 9: Explore to Chhuser Village for cave monastery and Dzong and back to Lodge. 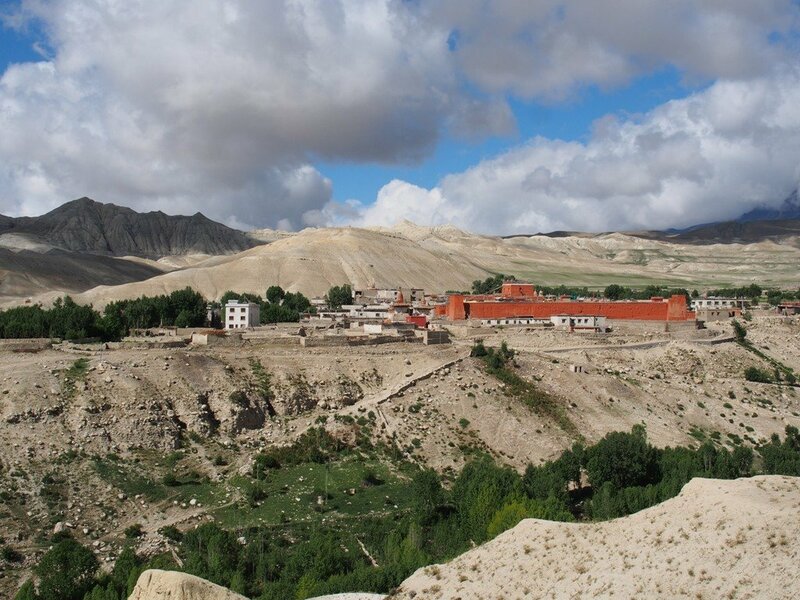 In the morning after breakfast, we walk short level trail and steep climb up until reaching Yamdo-La. 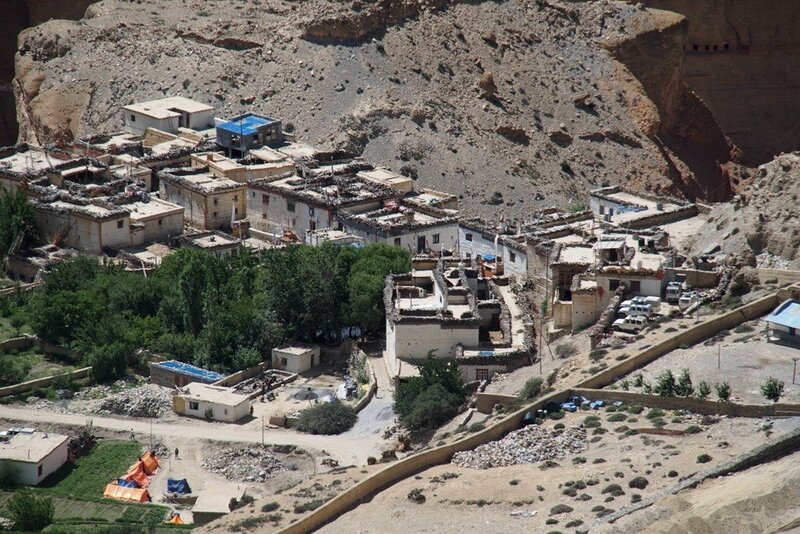 Then, we slightly climb down to Bhena. After passing the hamlets, namely Yamdo and Bhena, a long descent start to Samar crossing small streams. We will have our lunch here. After lunch, we continue the trail passing the big canyons and we reach in Tsaile. 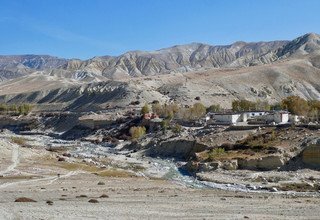 After that, we steep descend to the Kaligandaki River and cross by an iron bridge, then continue the trail along the Kaligandaki River until reaching Chhusang. Overnight at Lodge. 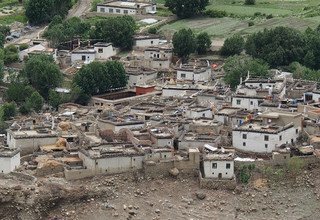 In the morning after breakfast, we leave the village and gradually climb up a rocky trail until reaching Tangbe. Then, we continue our trail after passing the picturesque village of Tangbe and crossing small stream and steep climb up, we arrive to a plateau. We keep walking a long slope and again we continue to walking along the river bank of Kaligandaki until reaching Kagbeni. We will have our lunch here. 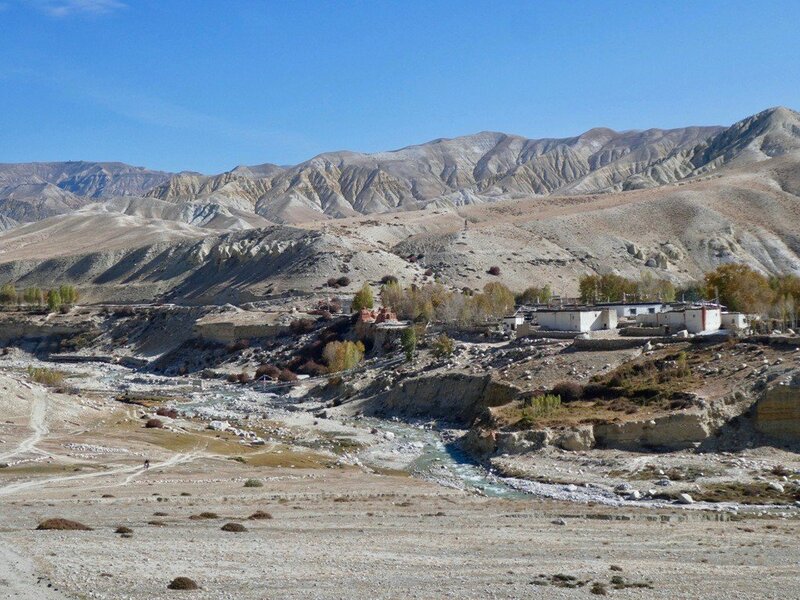 After lunch, we continue the wind trail along the wide river bank of Kaligandaki until reaching Jomsom. Overnight at Lodge. 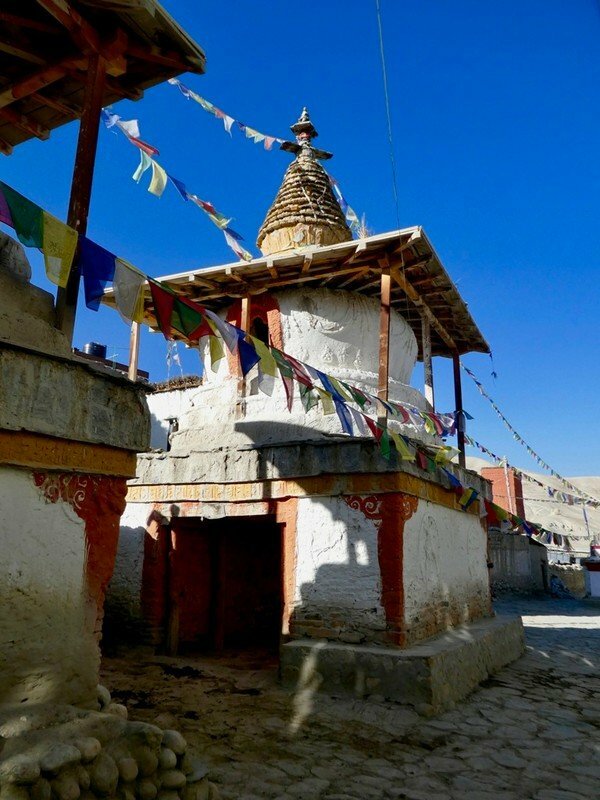 Day 14: Fly from Jomsom to Pokhara 820m and Half day Sightseeing in Pokhara with Guide. 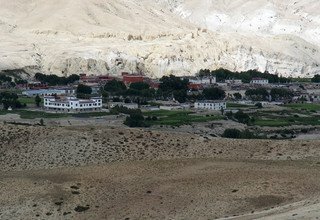 Early in the morning after breakfast, we fly from Jomsom to Pokhara and check in our Hotel. We make a rest and will have a lunch. 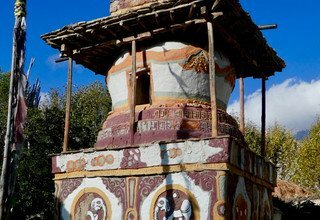 After lunch, we visit the some interesting places around the Pokhara Valley. We will have our dinner in quite and beautiful environment with culture dance show. Overnight in Hotel. 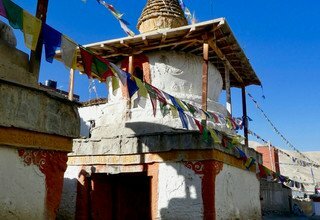 Day 15: Drive from Pokhara to Kathmandu 1340m/6-7 hours with Tourist Bus passing the scenic river of Trisuli and transfer to Hotel. * 5 nights deluxe accommodation in twin bed sharing basis with breakfast at 3* hotel in Kathmandu and standard hotel in Pokhara. 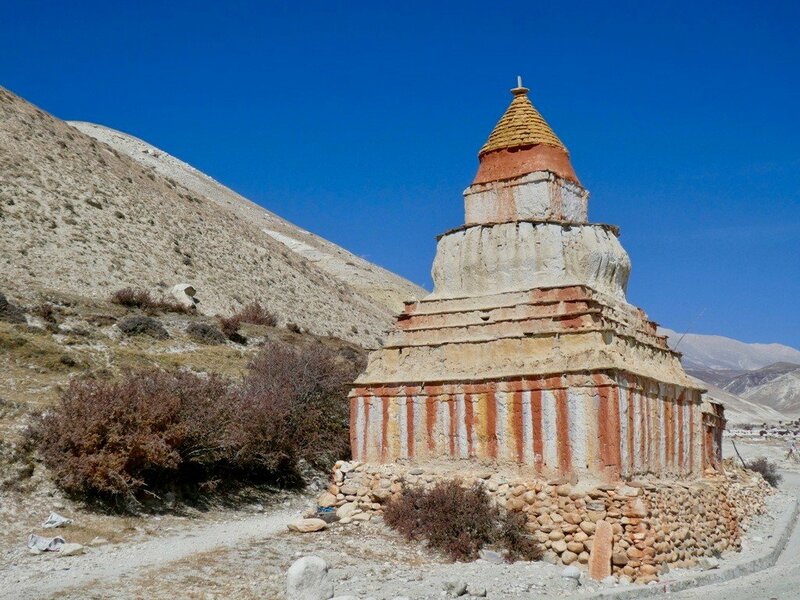 * Sightseeing tour as per above mentioned itinerary and all entrance fees. 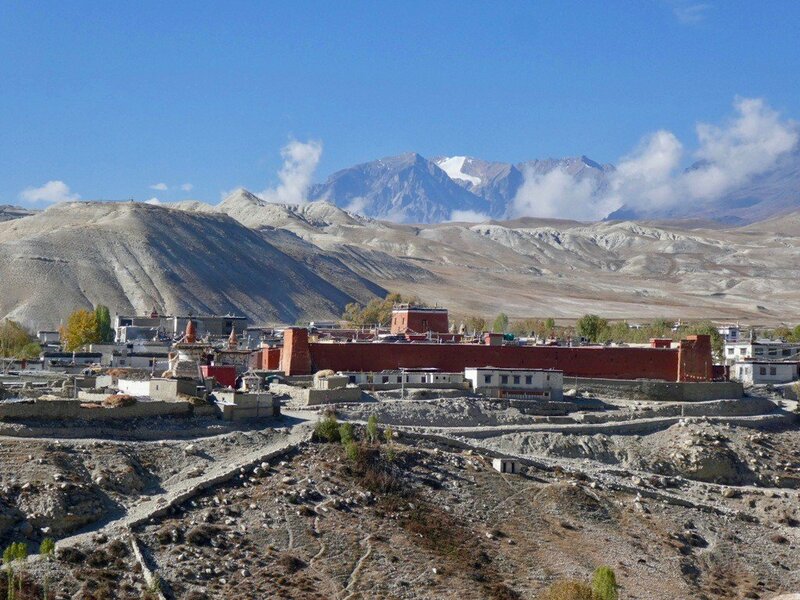 * Round Trip Flight Ticket from PKR-JOMSOM-PKR and airport tax. 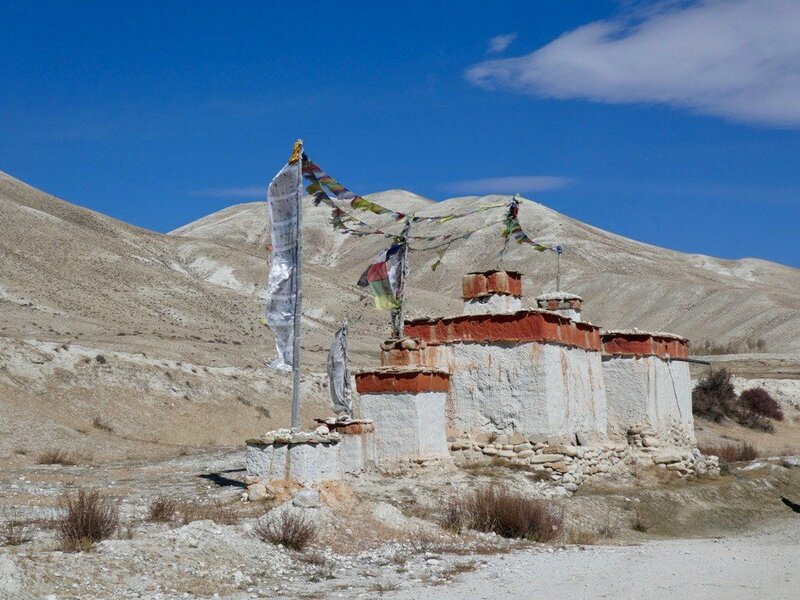 * All transportation by private vehicle and tourist bus.